Your life is busy, hectic, full, and exciting and your personal style should reflect your most confident you. Your style is part of your “branding.” Everyone brands themselves—some just do it better than others. What you wear should make you feel good plus give you confidence. When you feel good about what you are wearing, you just feel better and more confident. I’ll take a look at your lifestyle and find a look that you will feel good about. We can start with baby steps. Style is an evolving process. Learn the ten pieces everyone man or women should have in their closet. Whether it’s for the holidays, vacations, a day in the office, or just the everyday. Whatever the occasion or season, don’t agonize on what to wear. Let us add a little glitter and sparkle to your look or get a few good staples. We’ll mix and match and make it FUN! Let me take my 26 years of working for a leading retailer and bring that style to you. Bringing all the style, attention to detail and creativity I have learned over the years into your closet. If you need help decorating your home you call a decorator; why not do that for your style? Everyone has special talents and if creating your personal style does not come naturally, then let us help you. Do you have a closet full of clothes but don’t feel confident about putting looks together? 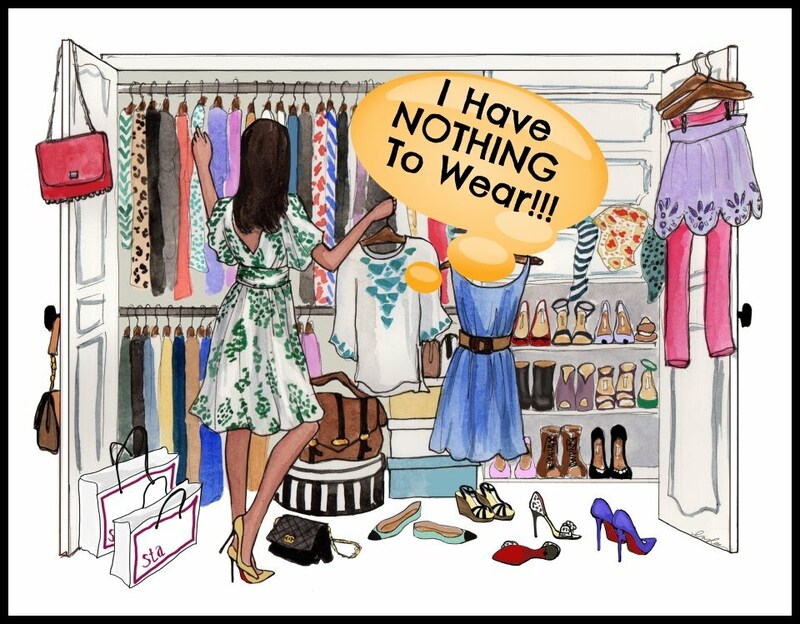 Do you find yourself saying “I have nothing to wear!”? Do you tend to wear the same thing over and over? 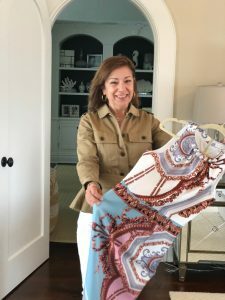 Do you need a fresh perspective, someone to go through your closet, and create new looks out of the clothes you already own? Together we’ll go through your closet and decide what are keepers and what just cannot be saved. Don’t like to shop? Let us help. We come to your closet see what you have, listen to you! 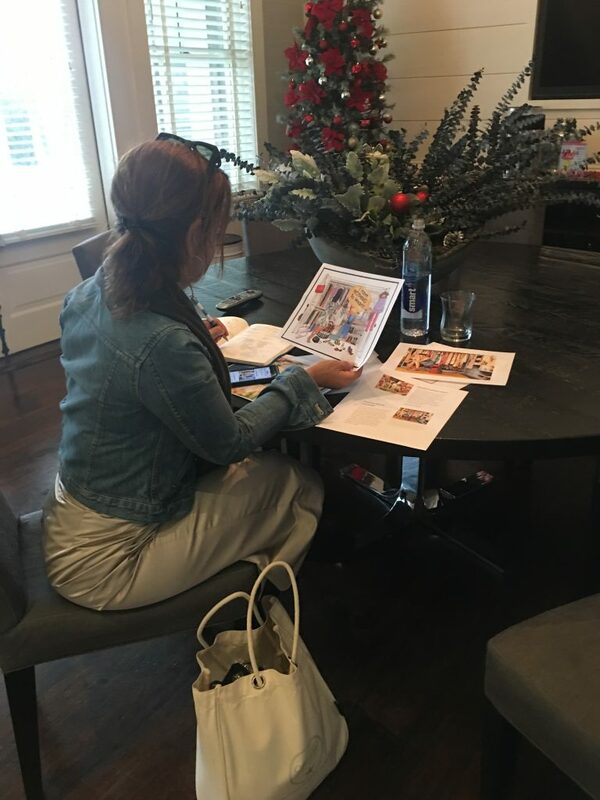 then do the shopping for you—coming back with different options for you to choose from. What you like you keep, what you don’t like we bring back. If you are traveling we can help you fill that suitcase. We’ll put together your wardrobe and/or streamline packing so you have just what you need for the occasion. 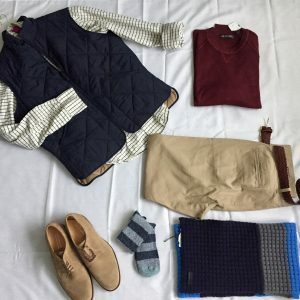 Holiday dressing can be easy and fun with a few simple tips. Learn how to wear a pair of ankle booties with jeans (I love to show a little ankle). Realize one of the biggest wins to looking good is making sure your clothes fit. Follow the latest trends is fine but it needs to be right for your body type. 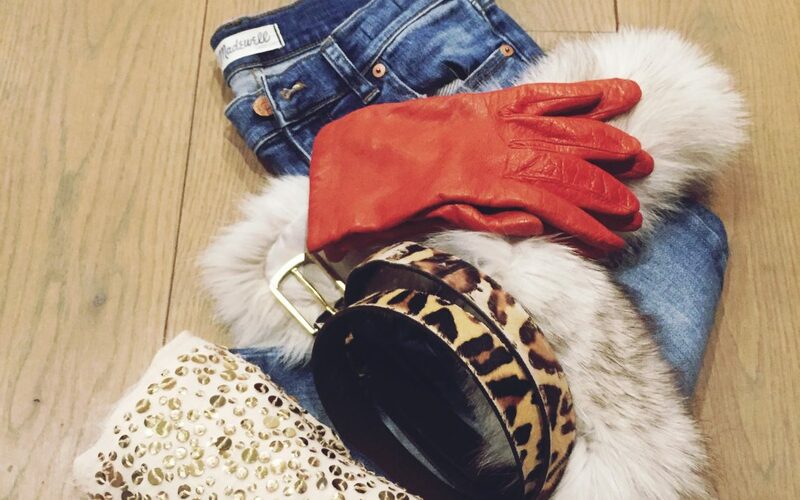 Find hidden treasures in your closet (it’s so much fun). A pop of color goes a long way. Mix it up by adding a pair of jeans with a bejeweled top. After working with some of the most creative designers in the industry, I have learned the tricks and secrets that work for every day looks. It may be just what you need to give you the confidence to step outside of your comfort zone, just a little. Don’t put it off. Click here to schedule an appointment.